To celebrate the first breakthrough at Farringdon, a time capsule was buried for people to discover in the future, alongside tunnel boring machine (TBM) Phyllis’ cutterhead. 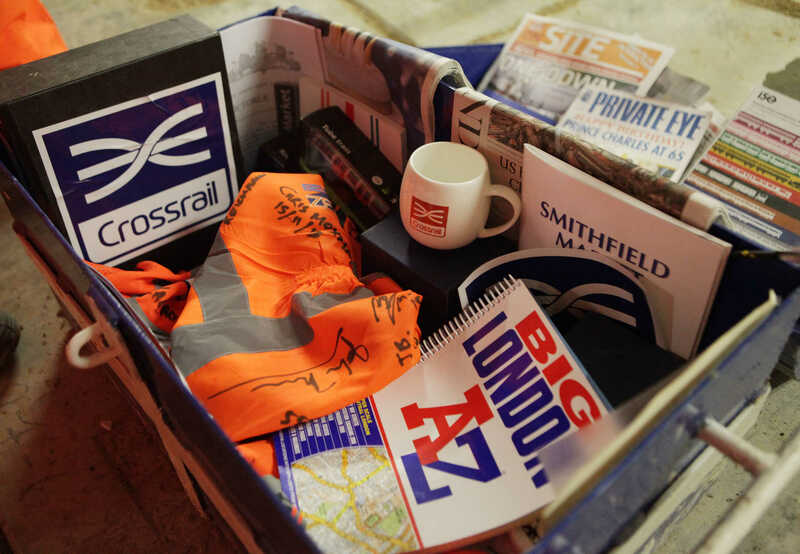 Among the items included in the Crossrail time capsule were a 2013 edition of the London A to Z donated by Phyllis Pearsall’s company who TBM Phyllis was named after, a Crossrail “Start of Tunnelling” mining tally and a tunnel phone used to communicate without standard telephone signal, a Crossrail mug, a model train and newspapers from that week. All the objects were suggested and donated by local people or Crossrail workers.